Robert Elwin Nuckolls was born in Ponca City, Oklahoma on April 3, 1933. He was the youngest of five children born to Ellis Virgil and Dora Hunsaker Nuckolls. He Graduated from Ponca City High School in 1951 and briefly attended Oklahoma A&M. He then worked as a policeman for Ponca City. While visiting his sister in Oklahoma City, he met the love of his life, Margaret LaVerne Calhoun. They were married on September 20, 1958. The couple lived in Oklahoma City where Robert worked as a bus driver. In 1962, they moved to Granite where Robert began his career at O.S.R. He began as a guard. He eventually took a position as the warehouse manager and finally as an accountant. Robert retired from O.S.R. in 1986.Robert was a volunteer firefighter and EMT in Granite. 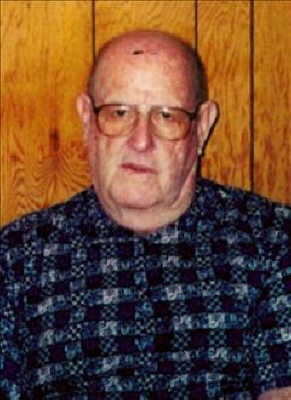 He helped start the ambulance service and served as fire chief for many years. Robert was active in church serving as a preacher, teacher, deacon, and elder. He was always willing to do anything that was needed for the church and for other people. Robert enjoyed camping, rock collecting, OSU sports, and studying his Bible. Robert was preceded in death by his parents and three sisters- Virginian Perrin, Ruth Withrow, and Mary Francis Hedrich-, one brother Joe, his wife Laverne, and one grandchild Robbie Berna. He is survived by his children Carol Berna and husband Robert of Wellston, Ellis Nuckolls and wife Jill of Stillwater, Roberta Simington and husband Ken of Tyler T.X., and Robert Lee Nuckolls and wife Suellyn of Granite. He is also survived by eight grandchildren and seven great-grandchildren. To send flowers or a remembrance gift to the family of Robert E. Nuckolls, please visit our Tribute Store. "Email Address" would like to share the life celebration of Robert E. Nuckolls. Click on the "link" to go to share a favorite memory or leave a condolence message for the family.